Mozilla Firefox has come a long way to become one of the most popular and robust browsers available. 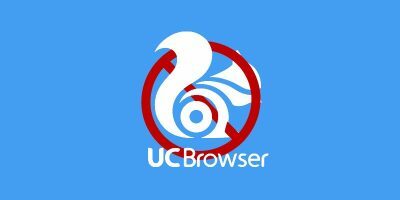 With support for thousands of extensions, a clean and uncluttered interface, and the fast browsing experience, it makes sense why one would want to use it as a primary or a secondary browser. 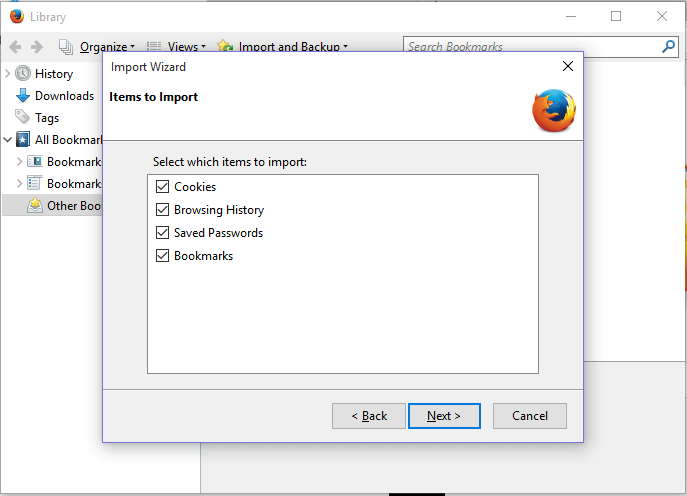 If you just switched to Firefox, or plan to use it as your secondary browser, you’ll probably want to import your bookmarks or favorites from your current browser. 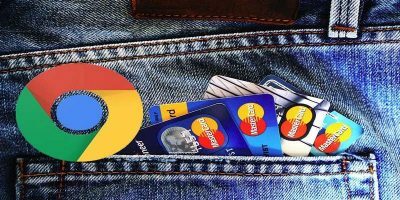 Transferring your favorites from Google Chrome to Firefox is easy, and will take just a couple of minutes. 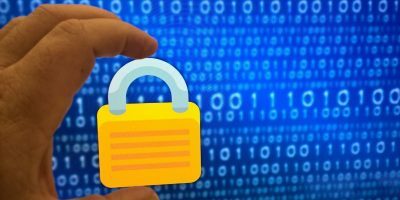 Firefox can import your saved passwords, bookmarks, cookies and browser history directly from Chrome. And not just from Chrome; Firefox can also import user data from Internet Explorer or Microsoft Edge. This tutorial will walk you through the process of importing user data from Chrome to Firefox. 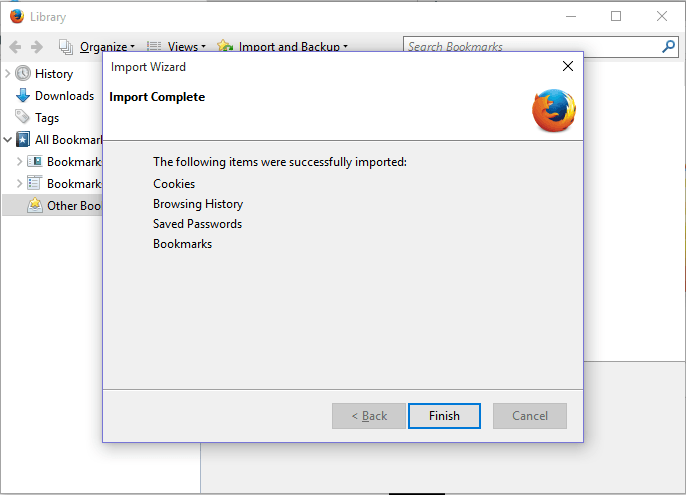 If you are installing Firefox for the first time, it will prompt you to import bookmarks. However, if you had Firefox previously installed, or intentionally skipped this step, you can still perform the procedure manually. 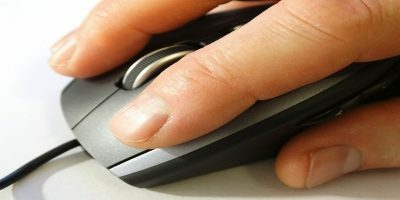 To import bookmarks, cookies, browser history, and saved passwords, simply follow the steps below. 1. Close Google Chrome, if you have any tabs and windows open. 2. 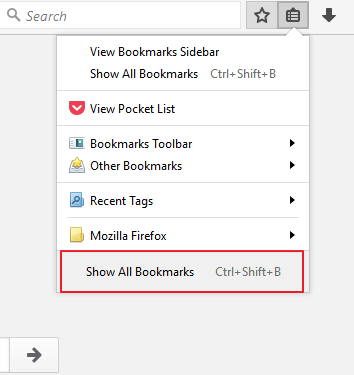 Go to the Firefox menu bar and locate “Bookmarks,” then navigate to “Show all bookmarks.” This will open the library window. 3. 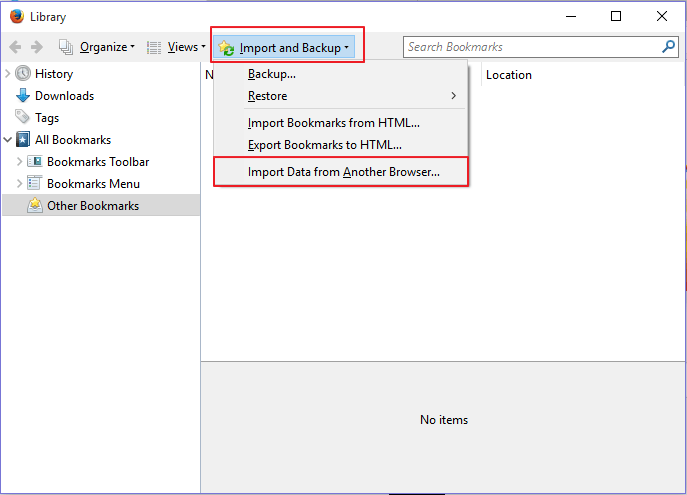 Click the”Import and backup” link in the toolbar, then select “Import data from another browser.” This will launch the import wizard. 4. Select the source browser, in this case, Google Chrome and hit “Next.” If you have multiple Google Chrome profiles, the system will prompt you the choose the profile which you want to import data from. 4. Click to check the items you want to migrate from Chrome (bookmarks, history, cookies) and then hit the “Next” button. Note that you can import all at once. 5. A message will pop up to notify you that the process is complete. Click the Finish button and opt out of the library window. Your Chrome’s bookmarks and other data should now appear in “From Chrome” folders located in your toolbar or bookmarks menu. You should also be able to see your Chrome’s history in your Firefox’s menu bar. Unfortunately, Firefox does not import all the add-ons you installed in Chrome. 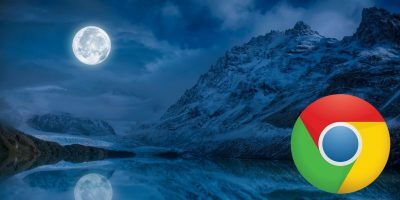 However, there is a wide selection of add-ons in the Firefox add-ons gallery, and you’re likely to find one that is equivalent to what you’re looking for. For example, if you use popular add-ons from some of the big-name companies, it is very likely that a Firefox version is available too. However, if you use the lesser known add-ons, you may not find an exact match for Firefox, but you’re likely to find a closer match. 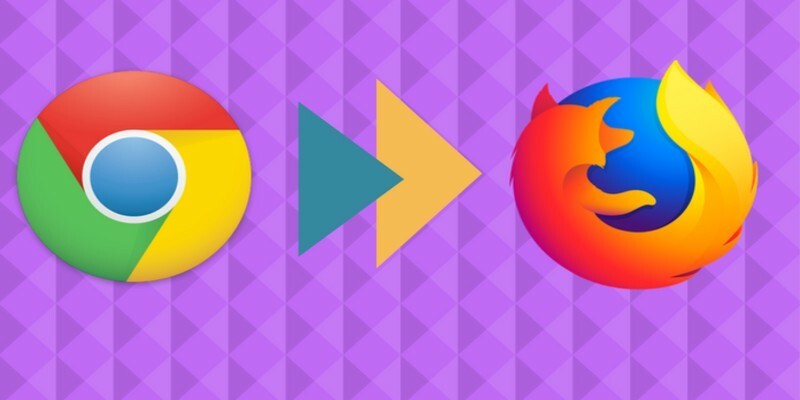 The Firefox import wizard will migrate most of your internet favorites from Chrome, Internet Explorer, Opera Mini, and other browsers so you won’t have a hard time when you switch to Firefox. 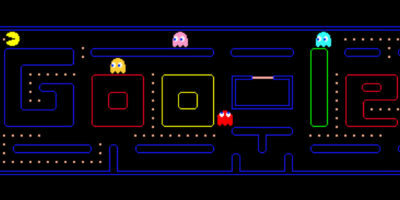 However, for the process to work seamlessly, you need to have installed Firefox 11 or later. 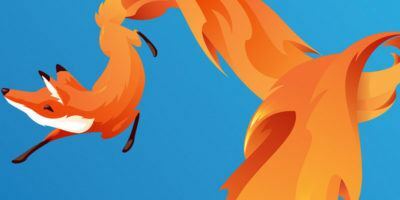 You might also want to check out our article on 10 easy ways to speed up Firefox in under 10 minutes. Should you encounter any problems, feel free to let us know in the comments section below. I would love to drop Chrome. But there is one feature that keeps Chrome on my computers, the ability to chromecast. 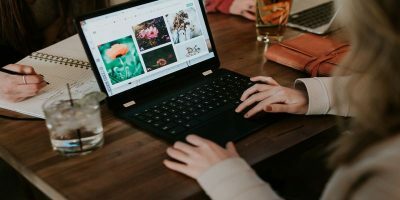 Is there a firefox extension that will let me cast a tab and a desktop to a Google Chromecast dongle? Yes, it’s possible, but this feature is enabled only in the Firefox for Android. Alternatively, you can set this preference to True in the about:config page. -On your browser, type about:config in the address bar, accept the warning and click to continue. -Type “browser.casting” in the search bar and double click on browser.casting.enabled to turn this preference to True. If you’re using Linux or Mac, try mkchromecast.